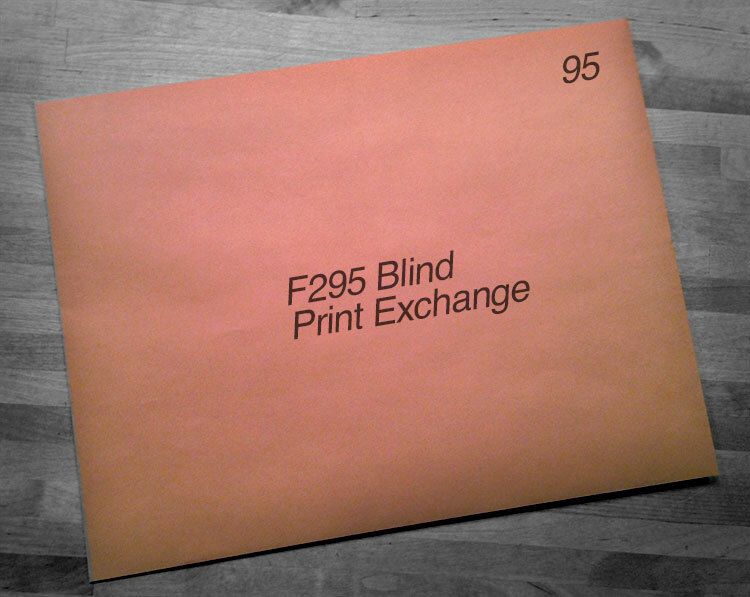 Please join us in the conference hotel lounge at 8pm Friday May 30, for another exciting edition of the F295 blind print exchange! Facilitated and hosted by F295 alum Marydorsey Wanless, Associate Professor at Washburn University in Kansas, this is always a very popular and fun event! Here’s how it works: You bring one handmade* image that is 8×10″ or smaller that you wish to “trade.” You and Marydorsey will place the print into one of many identical, but numbered 8.5×11″ mailing envelopes and you receive a ticket. All of the envelopes are then placed on a table and later in the evening ticket numbers are drawn for each lucky participant to take their turn and choose from the stack to pull out a wonderful new piece of artwork to take home! In the past we’ve had speakers and attendees participate in this fun and casual event! Don’t miss your chance… you might get really lucky! * It’s important for the fairness of the exchange that all artworks have some element of hand-work to them… the extent of which is up to you. Prints, tintypes, hand-coloring, encaustic, bromoil, silver gelatin, etc… The only limit is your imagination!